Be careful what you wish for. Believe me, you do NOT want your case to be worth a million dollars. You read that right! You do NOT want a million-dollar case. The problem with your case being worth a million dollars is that you have to suffer very severe, life-altering injuries for that to happen. Believe me, you don’t want it to happen. You want no injury at all, or if you must be injured, a small one, which corresponds only to small compensation. Now let’s talk “settlement value”. When lawyers talk about the “settlement value” of a case, what, in all fairness, the insurance company should pay. Each case is different so it is not possible to just tell your lawyer what happened to you and what your injury is like and expect him to spit out a number that represents the settlement value of your case. That’s because the factors discussed below, which affect settlement value, are infinitely variable. Determining the settlement value of a case is more of an art than a science. (1) How likely a jury is to find the defendant negligent? (2) How likely is a jury is to find that defendant’s negligence caused your injuries? (3) How likely is a jury is to find you were partly responsible for your injury? (4) How bad is your injury? (5) How much are your “special damages”? (6) Where can your case be “venued”? (7) How much insurance or other money is there available? (1) What do you mean when you say the settlement value of my case “depends on how likely a jury is to find the defendant negligent”? What we mean is that if the defendant is clearly liable, your case is worth more. The settlement value of your case goes up in proportion to the likelihood that a jury will find the defendant liable. For example, if the defendant ran a red light and ran you over as you were in a crosswalk, the defendant is very clearly liable. Your case is worth more. But if the defendant says his light was green and that you had the red light, well then the jury will have to figure out who to believe. Since it is less clear that a jury will find the defendant liable, the settlement value of your case is lower. Remember: The settlement value of a case is nothing but a prediction of what a jury is likely to award you. So if a jury might believe the defendant is not liable, this impacts the settlement value of your case. (2) What do you mean when you say the settlement value of my case “depends on how likely it is that a jury will find the defendant’s negligence caused my injuries”? Here’s what I mean: Sometimes it might be very clear that the defendant was liable, and that you were injured, but not at all clear the two things are linked. We call that a problem with “causation”. We are legally required to prove the defendant’s negligence caused your injuries. This problem comes up if you had pre-existing injuries. For example, if you suffered from neck pain for many years before your accident, and are claiming that it got a lot worse after the accident, the defendant will always argue that none or very little of your injury was caused by the accident. Instead, they will argue your current symptoms are caused by your pre-existing condition. If this argument appears strong, the settlement value of your case will be lower. (3) What do you mean when you say the settlement value of my case “depends on how likely it is that a jury will find me partly responsible for my injury”? Assuming the defendant was negligent, were YOU also negligent? Maybe you were both negligent. In other words, did you help cause your injury – or make it worse – because you were careless, too? In New York, if a jury finds this to be true, your verdict will be reduced by your percentage of liability. For example, if a jury finds that the defendant was 70% at fault for causing your injury because he ran through a stop sign, but you were 30% at fault because you were going too fast to stop in time to avoid him, and the jury says your injuries are worth $100,000, then your verdict is reduced by 30%, to $70,000. How does all this apply to determining the settlement value of your case? Simple: If it seems likely a jury will find you partially at fault, this of course will lower the settlement value of your case. (4) What do you mean when you say the settlement value of my case “depends on how bad my injury is”? The more serious your injury, the more horrible your suffering, the longer you have to endure it, the more it limits your activities, the more your case is worth. Past, present and future suffering and loss of enjoyment of life are all considered. So, for example, the case of a 10-year old who lost a leg is worth more than the case of an 80-year old with the same injury because the 10-year old has about 70 years left to soldier on with that injury, while the 80-year old has only a few years left. And the missing leg case is worth more than the missing finger case, and both are worth more than the fractured-but-well-healed knee case. Makes sense, right? (5) What do you mean when you say the settlement value of my case “depends on how much my special damages are”? When lawyers and insurance adjusters talk about “special damages” or simply “specials”, they mean MONETARY losses (as opposed to pain and suffering). The most common types of monetary losses are lost income and medical expenses. The larger these components are, the more your case is “worth”. If you have no lost income and no medical expenses, your case is worth less. (6) What do you mean when you say the settlement value of my case “depends on where my case can be venued”? 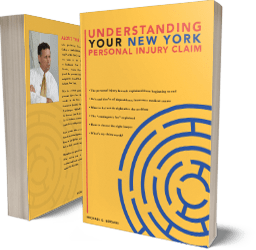 Juries in some parts of the New York tend to give very large verdicts in injury cases, while juries in other parts tend to be stingy with injury verdicts. If your case can be brought in a large-verdict county, the settlement value of your case is larger than if it has to be brought in a low-verdict county. Generally, urban jurors, especially ones in poorer areas, tend to award bigger verdicts, while rural and upper-class juries tend to be a lot stingier. For example, in New York State, personal injury verdicts in the Bronx, which is largely a venue of poor urban people, are three or four times the size of verdicts in Upstate rural counties. Why? That’s beyond the report. I could write another whole report about it! (Maybe I will. Stay tuned!). In any event, your lawyer can only “venue” the case in (1) the county where you, the plaintiff, resides, or (2) the county where the defendant resides, or (3) the county where the accident happened. Your lawyer – if he knows what he or she is doing (like us!) will look at those three venue choices and pick the one that is most likely to lead to a larger verdict. If that is a very large-verdict venue (such as Erie County where Buffalo is), the settlement value of your case will be worth more than if all three venues are in rural counties. (7) What do you mean when you say the settlement value of my case “depends on how much insurance or other money is available”? I mean you can’t get water from a rock. You may have a huge injury -- for example you may be paralyzed from the neck down (God forbid!) -- but if the defendant is broke and has only a small insurance policy, say $25,000, then your case is worth only $25,000. On the other hand if Bill Gates ran you over with his Lamborghini, there will be tons of insurance coverage, and even if that gets used up, we can dig into Bill’s pockets for as much as it takes to compensate you fully. Your paralysis case will be worth many millions of dollars. Well there you have it! I have answered all the questions that most people ever ask about how the settlement value of their claim is determined. (1) Does it matter that you could have died in the accident (but did not)? No! The fact that you could have died in the accident, but did not (luckily) is generally not relevant. The fact is you did not die. “Could have” is generally irrelevant in determining value. (2) Does the fact that I got behind in paying my bills increase the settlement value of my claim? No! This is generally not relevant. Yes, you have a right to recover your lost wages and your medical bills, but the law generally does not allow you to recover for the anxiety of getting behind on your bills or even for loss of your good credit rating. (3) Does the fact that my doctor says I could develop other medical problems because of this injury increase the settlement value of my claim? It depends. The fact that you “might” develop other conditions because of the accident does not generally increase value. On the other hand, if your doctor says it is “likely” or “probable” that you will develop those conditions, this will increase your settlement value. Bottom Line: Valuing a personal injury case is complicated. You can’t do it. You really shouldn’t even try. It’s no use comparing your broken arm case to your neighbor’s broken arm case (“my neighbor settled his case for $100,000 so mine must be worth the same”). There are just too many factors to consider, factors that only a seasoned lawyer can calculate. One of the most important reasons you need a good, experienced personal injury lawyer is so you can find out the value of your case. So don’t hesitate to call us at 315-253-3293 to discuss your claim. We have helped hundreds of people just like you get their lives back in order after suffering serious injuries. For example, Tony, a welder, was stopped on a highway waiting for oncoming traffic to clear to take a left-hand turn into his place of employment. He was violently rear-ended when the driver was texting instead of paying attention to the road. Tony’s wheels were already turned left, and the impact flipped his car over. He suffered a disabling back injury which eventually required surgery. He was never able to return to work. A year and a half after his accident, our team got him a seven-figure settlement, which included structured life-long payments. Here’s another example of someone we helped: Jeremy, a construction worker, was working from a ladder trying to loosen a bolt with a wrench. The ladder his employer had provided to him was inadequate for the job (too short and not stable). As he pulled at the bolt, the ladder wobbled and then toppled, bringing Jeremy down with it. Because of his injuries, he was unable to return to construction work. We brought a claim against the general contractor who ultimately was responsible for ensuring proper ladders were available. After he was done treating for his injuries, and their permanent nature was established, we were able to obtain for him a settlement large enough to replace his lost income and compensate him for his pain and suffering. We especially enjoy helping children get justice. Mary was a severely autistic 8-year old who required physical therapy at school. Unfortunately, the assistant physical therapist failed to properly monitor Mary as she was working with a “peanut ball”. Mary’s foot got caught under the ball, her leg bowed, and her femur snapped. She had suffered a severe fracture requiring multiple surgeries. Although Mary’s extreme autism prevented her from being able to speak or communicate to us what had happened, we were able to obtain a large settlement for her, which we placed into a judicially protected “trust” to help Mary with her many future medical needs. Please note that past case results are no guarantee of future successes. Each case is different. We have described just a few of the hundreds of cases we have brought to successful conclusion just to give you an idea of the many kinds of cases we handle. Our team is standing by to help you, too. As a matter of fact, we look forward to your call and the chance to serve you as we have served others in our community. While we certainly can’t guarantee any results, we may be the right law firm for you. The best way for us to find out is by calling us at 315-253-3293 to arrange a free consultation.